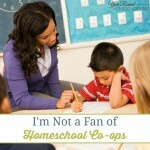 Every homeschool family has their own reasons for choosing to keep their children at home for their educations. One of the reasons that I and many other homeschool families have for homeschooling our children is that we do not believe that standardized testing is how our children’s educational success should be measured. Standardized testing can be inaccurate for many reasons, such as; not all kids test well, perfectionist students struggle with moving through each question, dyslexia, special needs and many, many more! The biggest reason that we can not solely rely on standardized testing is because each child is unique, therefore each one learns at their own pace and in their own time. So, clearly standardized testing can not be the only means for determining how children are progressing through their education. Does all of this mean that standardized testing doesn’t have a place in homeschooling? I do not believe that is true. 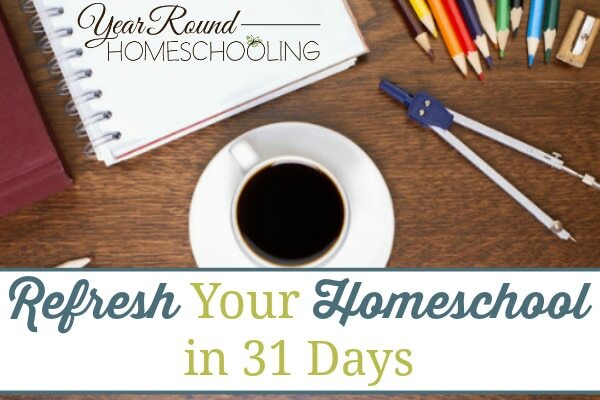 As a homeschool mom I have found that standardized testing can not only be helpful and encouraging, but that it can also refresh your homeschool! Every homeschool mom wonders time and time again whether she is teaching the right things, her students are learning enough and/or on what subject they need to focus. Standardized testing focuses on the subjects that our children will need throughout their lives, no matter what career their future holds. Math, Reading and English/Language Arts. These are the subjects that we do need to ensure that our children continue to progress in throughout their education. By giving our children the opportunity to take a standardized test vs. us continuing to teach/instruct their Math, Reading and English/Language Arts courses status quo, we are able to take a step back and see what they are truly capable of without our instruction/assistance. That does mean however that we must not assist them with the questions/problems throughout the standardized test aside from rewording the instructions or problem so that they can understand them. If we help them solve the problem or refresh their memory the results of the standardized test will be null and void. I know that many homeschool families do not like standardized testing because I used to be one of them. However, I had to use it one year to report to my state and by doing so I found that there were things about standardized testing that I actually did like. We do not complete standardized testing each homeschool year. In fact, we have only used standardized testing in our homeschool three times. I do alternate paper and online standardized testing options for my children. I prefer paper testing so that I can see their answers before mailing the test out for grading while my children prefer the ease of online standardized testing. We do not use standardized testing in our homeschool to report to our state, though it is an option for us. I use it for my knowledge and for my kids’ knowledge now that they are older. I do count standardized testing as our homeschool studies for the week. Since my children do not truly enjoy or thrive on testing, I inform them when they’ll be taking the test and count it as our homeschooling for the week because I know it does cause a bit of anxiousness in them. This year we used a new (to us!) online standardized test from Affordable Homeschool Testing Services LLC called Measures of Academic Progress (MAP) Testing and we really enjoyed it! The MAP testing is a standardized test administered online that is spread over 2-3 days, depending on whether or not you opt to include the reading standardized test. Prior to your students beginning their testing you will receive a phone call from the test administrator to answer any questions you may have, provide you with your students log in information and give you with instructions for the day’s testing. These tests are very similar to the paper CAT standardized test, however each of the tests are untimed, so your students do not need to feel rushed to complete them. They can even take breaks as needed throughout the tests! Your students can use scrap paper during the testing process and there is even a calculator built into the math tests when its use is allowed. The Measures of Academic Progress (MAP) Testing is accepted in some states as your standardized testing options, be sure to check with your state laws to see if this is the case for you prior to sending in the test results as your part of your yearly homeschool report. As a homeschool mom I was thankful to have access to the test administrator via phone and email for any questions that arose during and after my children’s testing. Having the ability to test multiple students at one time with multiple devices/PCs was a great benefit to this testing process as well! My children really enjoyed being able to take their standardized tests online and not have to fill in the dots on paper like they have in years past. They also liked that the calculator was built into the math tests and that they were able to take breaks during the testing vs. being timed like they have been on other standardized tests. Perfectionist students need to know that this test is specifically designed for them to expect to get 50% of the problems correct and 50% of the problems incorrect prior to beginning the test. This will help them to not become frustrated when they do not know the answer and are afraid of moving on to the next problem. Once a question is answered your student can not go back and change their answer. This can be useful for students that struggle with looking at too many questions on a page, but can be more difficult for perfectionists to overcome. The number of problems each student will receive fluctuates based on the test, your student’s grade level and skills. So, there is really no way to know how many problems each student’s test will have. I missed being able to see my children’s answers myself prior to sending their test off to be graded, but receiving the results via email in less than 48 hours made up for it! In the past when I’ve sent out our paper CAT tests it has taken at least a week for the results to be mailed back to me. I really loved the quick turn around that we received with Affordable Homeschool Testing Services LLC. As a homeschool mom I truly do believe that standardized tests can be both helpful and refreshing to homeschool journeys. Remember, it does not have to be done yearly (unless your state requires it), it can simply be used to give you direction for Math, Reading and/or English/Language Arts class in your homeschool! Typically as homeschoolers our children are doing better academically than we realize and standardized testing can encourage us and our children when we see the results! 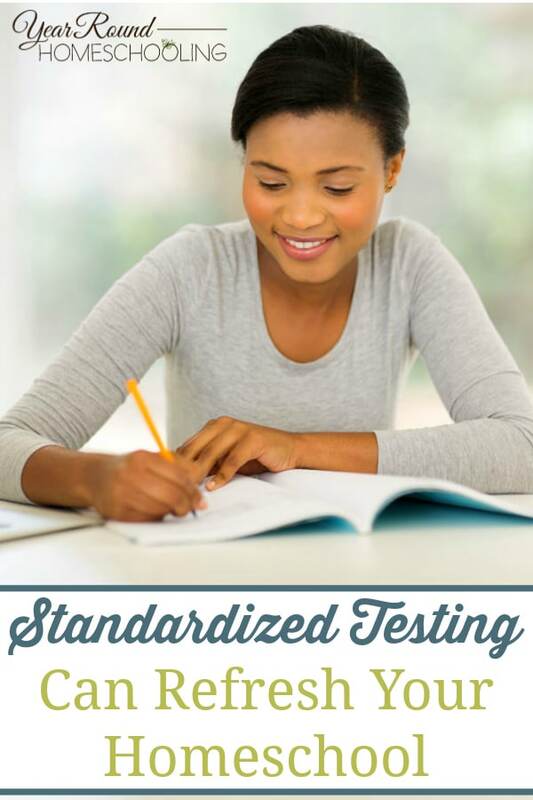 Have you ever used standardized testing in your homeschool? If so, what did you like and dislike about the process?